The hubs and I are in super drive because of school and scheduling conflicts. It seems like we see each other for only a couple hours a day. We started staying up late so we can spend more time together. I miss that man. But we both know this is only (hopefully) temporary and this is the storm, right? We just have to make it through. Grad school is tough not because of the course load but because of the time you can’t give to your relationships. No one really tells you that on campus visits. With our hectic schedule it’s easy to fall into the grad student pitfall also known as the eating out rotation. However, quick meals like this help alleviate that issue. As promised yesterday, this is a wicked good recipe. It’s creamy, vibrant and has kale in it. Everyone loves kale right? I mean it is the 2013 super food… or was it the 2012 super food? It’s hard to keep up. Either way, this quick yummy recipe is worth making. 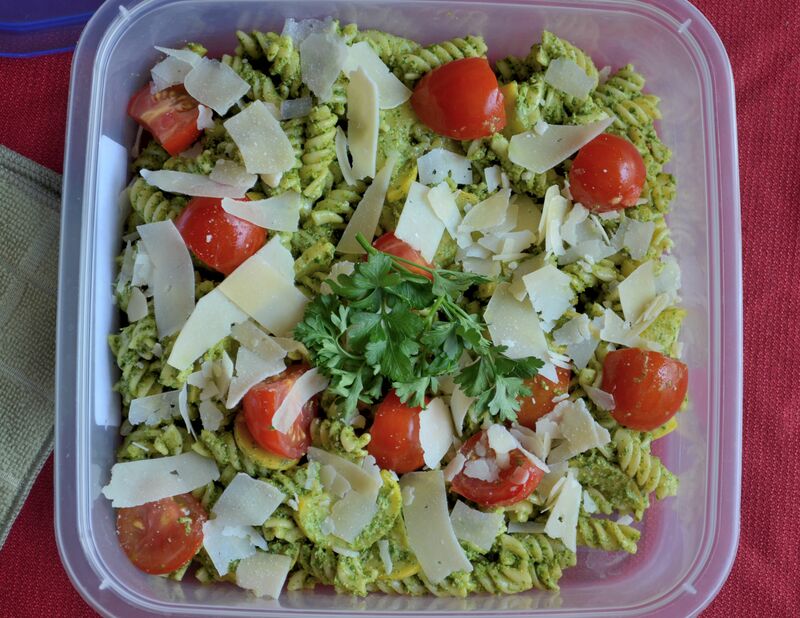 Parmesan kale pesto is one of my new favorite ways to make pesto. Kale is always a super food because it’s pretty much always in season. It grows during all seasons which allows for some creativity in the kitchen. This recipe was one of those brainstorm creations. 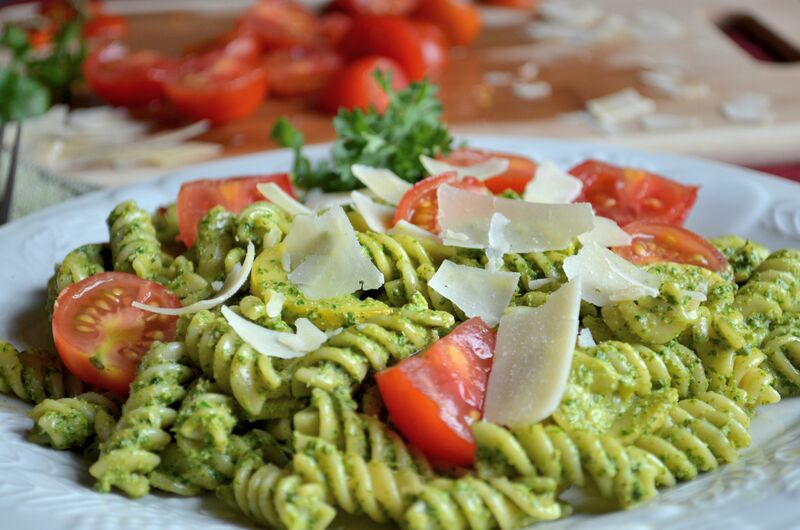 This pesto is quick to make and is great served warm or chilled. It can make a great weeknight dinner over pasta as well as a nice lunch surprise. 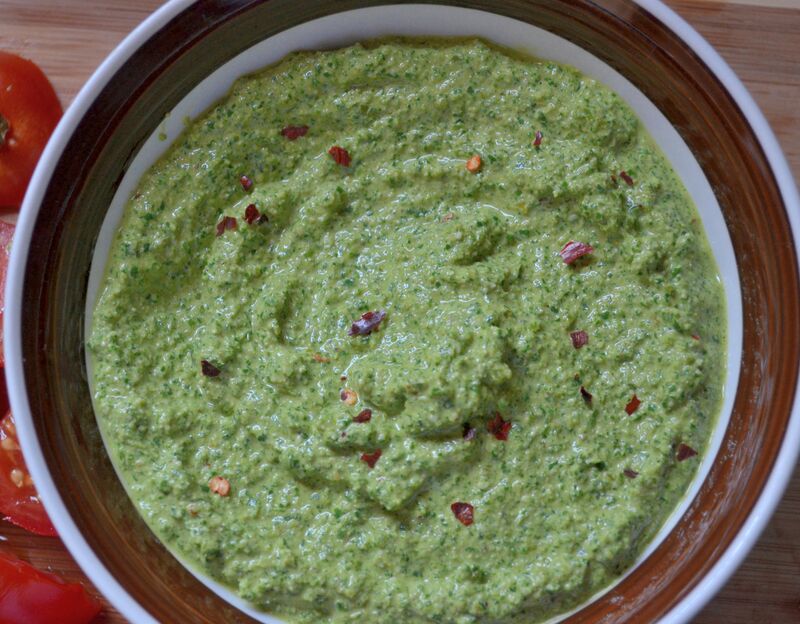 I hope you make time with your special someone and enjoy this delicious and nutritious pesto. Boil water over medium high heat and add kale leaves. Remove from heat and allow to sit in the heated water until a bright green (about 1 minute to 2 minutes). 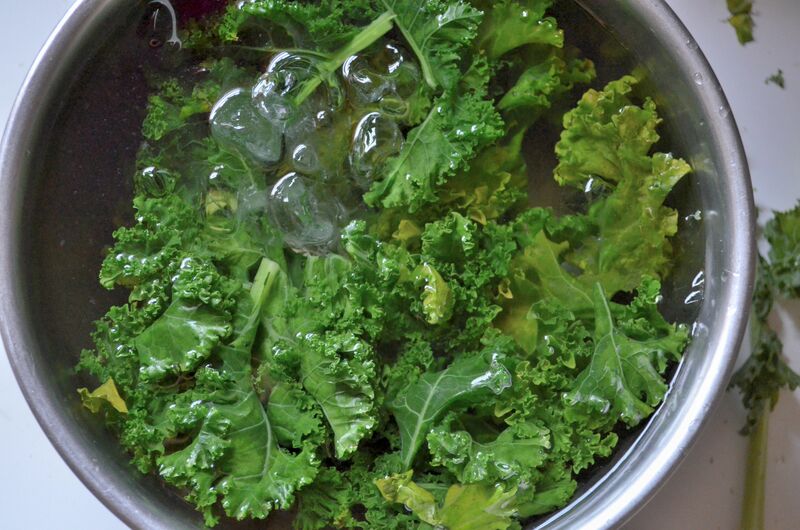 Use tongs to remove the kale leaves from the water and place them in iced water to stop them from cooking. 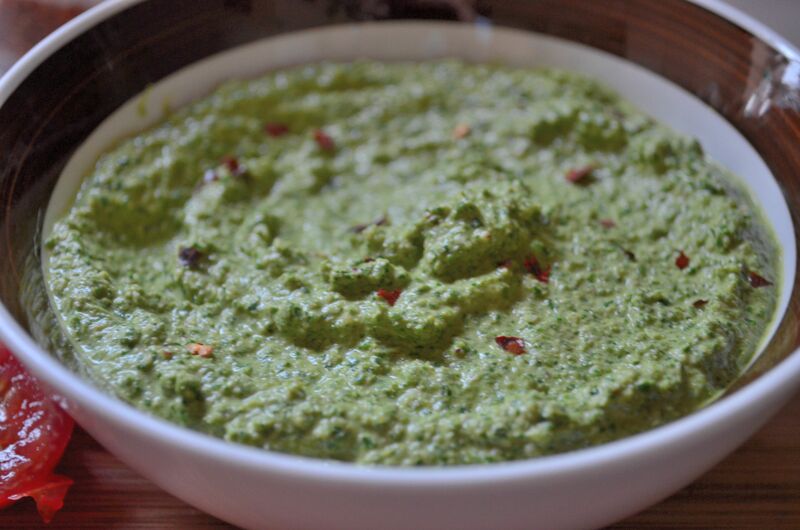 After a few minutes of the kale cooling in the water, add the leaves to a blender or food processor with all of the other ingredients under the pesto ingredients list and process until smooth and creamy. 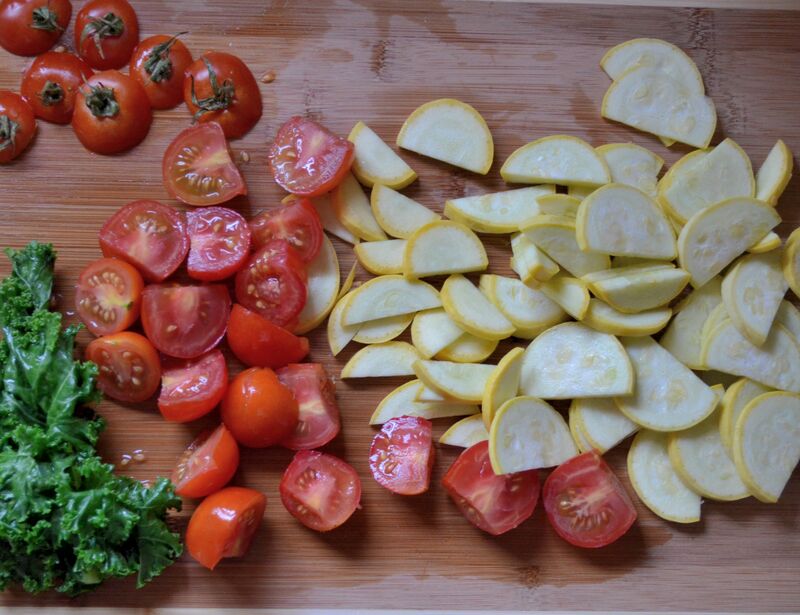 Remember those gorgeous freshly cut veggies? 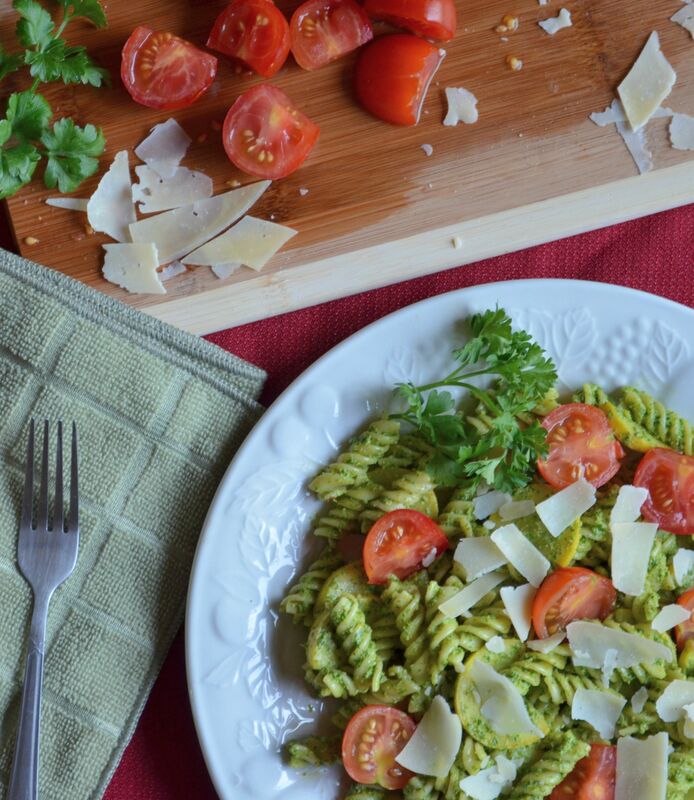 For an amazing, vibrant, and filling pasta, toss the pesto with the rotini, tomatoes and squash. As mentioned earlier, this dish makes a great lunch. Place in Tupperware and enjoy this meal during the hustle and bustle of the work day. 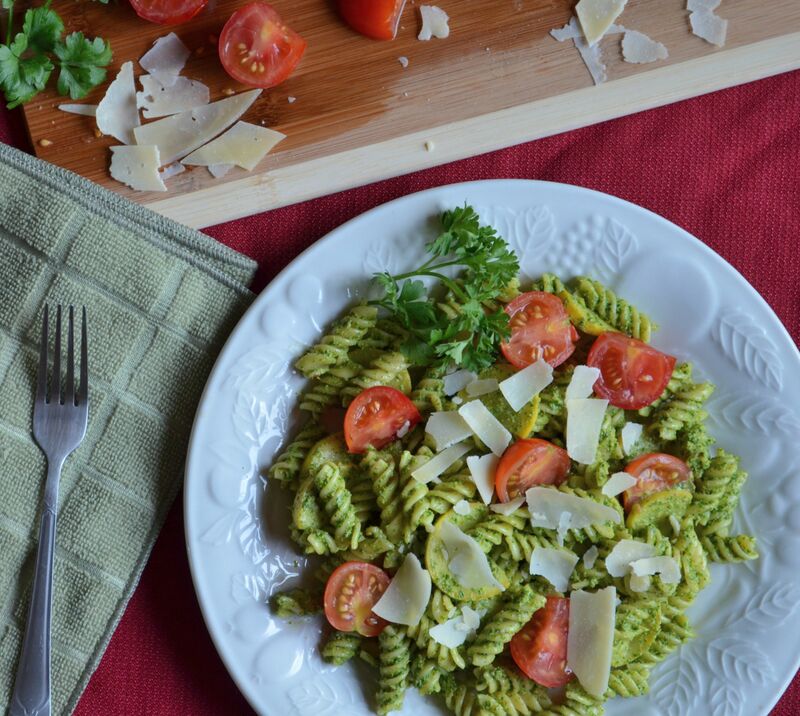 Do not forget to top with some Parmesan and parsley to really give this pasta a kick. This looks amazing. Kale is such a great food. Thanks for sharing.